Tired of getting stuck under heavier opponents? Frustrated by trying the same escape techniques that don’t seem to work? No more! This instructional is the premiere guide to make your side control escapes unstoppable. Mixing moves and concepts, Brent Littell creates a unique study guide to make you a true escape artist. He looks at side control escapes from a completely new perspective, which has never been put together in such a usable and accessible manner. 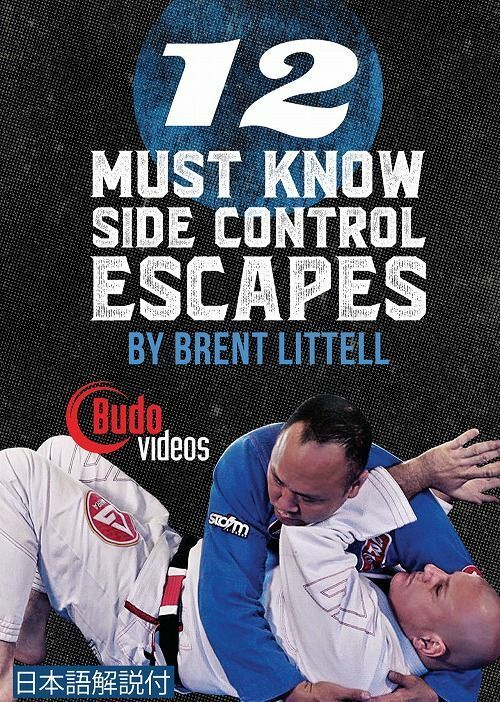 Through the examination of specific escapes for specific side control situations, this instructional creates a framework to help the newcomers identify the type of side control they are in and the escape that works best for that position. Never before has side mount bottom been broken down this perfectly in one easy to use instructional. In fact, it gives you a primer on what to do and when to do it, unlike other instructionals which have a one size fits all answer for side control escapes. Don’t miss out on this opportunity to feel invincible from the bottom. You will not regret it. Brent Littell has the unique distinction of being one of only people in the world to have black belts in both gi and no gi jiu jitsu. He was the sixth person ever to receive his black belt in no gi bjj from Eddie Bravo, and he was the first person ever to receive his black belt in gi from Gracie Barra after holding rank as a black belt in no gi. Brent has extensive instructing experience and has taught in some of the most hallowed bjj institutions in the world. He was Tenth planet’s first ever fundamentals instructor at their headquarters in Hollywood, California, and presently is an instructor at the headquarters for Gracie Barra, the largest and most successful bjj team ever. His knowledge of both gi and no gi jiu jitsu, as well as his amazing teaching style, makes him one of the most sought out bjj teachers around. He has worked with everyone from beginners in the sport to UFC fighters to world champions. His teaching style makes complex concepts accessible to all. This is a great opportunity to learn from one of the best.